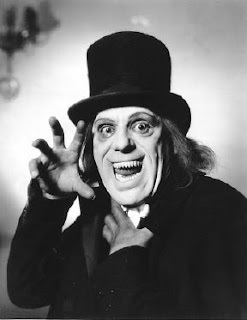 This week goes back a few decades, and the spotlight shoutout goes to Lon Chaney. Recently, my interest in silent films has been revived, and when I look to the speechless masterwork of the 20’s I think of Lon C.
He did some of the best work on screen, as well as for the makeup department. Lon has starred in great roles like “The Phantom of the Opera,” “Dr. Jekyll and Mr. Hyde,” and the “Hunchback of Notre Dame.” Literally this guy has done so much with his career it would take pages to list. I will say his work as the Phantom has been my favorite. His makeup job makes Gerard Butler look like a mouse. 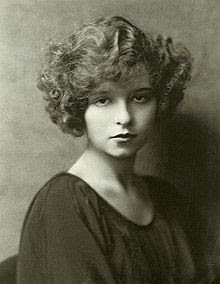 My other interests in silent films have been expanded over the past two weeks because in my US history class we’re covering the works of Clara Bow. Finally, a decent assignment. Now this is a woman. I would ask her out if she wasn’t dead. As far as Lon’s work the original Phantom is still on youtube. I watched the whole thing this summer. It’s so good. He’s creepy, and vile, and plays the part so well. QATFYG: Do you have a favorite Lon Chaney role? I also love Claude Raines. Phantomgasmic. Phantomgasmic! rofl. I like it. C-Raw, that word needs to be used way more frequently. Respect. I have never played Dr. Jekyll nor Mr. Hyde in the cinema. The photograph of me that you have displayed is from my role as The Man in the Beaver Hat in "London After Midnight," a motion picture that is presumed lost. well i never stated which movie the photo was from. i just wanted one that wasn't from phantom. and this one looked the best. and thank u LF for your point. i posted the thing about j and h because it was someone told me a long time ago, and i made the mistake to assume it was true. you can find a lot of silent movies on youtube I think, if I remember correctly. I just saw "A Trip to the Moon" the other day. this is in a different direction with silents, but I need to rewatch Steamboat Bill Jr. from 1928. It is by far the funniest silent i've seen so far. they've used clips from it in a lot of commercials, so i was really surprised how much of it I recognized. And of course it's on youtube.